How Will Wearables Change Manufacturing? It’s 2020. You’re looking out onto the shop floor, and everything seems normal. Machines are running, people are working, widgets are being made and parts are being welded. There is just one thing that’s different from the shop floors of days past: wearables. 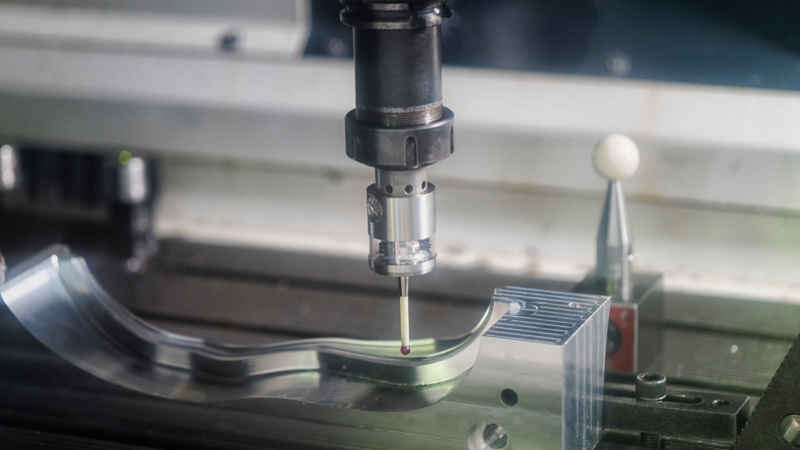 The days when having a computer on the shop floor to view CAD files meant your shop was cutting edge are way behind us, and we're looking ahead at future technology. Wearables are a hot topic for the consumer space, but the next wave of cutting-edge shops will surely incorporate them as well. Let's take a deeper look at how this technology has changed our industry — and will continue to. How has technology spurred change? Close your eyes for a second and picture an old factory. Like the "days of Carnegie" old. You’re probably picturing smokestacks and guys in overalls covered in soot in a dirty factory. Now think of modern manufacturing with safety standards and spotless equipment. Obviously, there's a pretty big difference. Obviously, this didn't happen overnight — as more technology came available, updates rolled into machinery, processes and company communication. A great example of this is Real Time Location Systems. Instead of paper tracking, maps and guesswork in supply chain, RTLS's adoption created the ability to track distribution and delivery has. This has been game-changer for thousands of industrial companies, and it's only going to continue to improve — just imagine updates or delay notifications coming straight to your smartwatch. Will wearables be the next big change? Think about quailty control. It's arguably one of the most time-consuming and important steps during production. Before sending anything out with your company’s name on it, it’s imperative that it meets yours and your customer’s quality standards. Wearable devices can help streamline the process, and help reduce human error — just imagine wearing glasses that could detect defects or a watch that could teach you show to optimize a machine. Another area — and a very important one — that can be improved with the help of wearable tech is safety. Take a look the chairless chair, which allows workers to have a chair on them at all times and can be used as needed or the smart baseball cap that helps to track fatigue and well-being of workers. Additionally, you probably know that Google has a history of taking some of their more ambitious consumer ideas and restructuring it for the industrial sector, and the next big thing could be Project Soli, which utilizes radar to control an interface, can be used to control virtual tools. While this is still in very early stages and is currently planned for commercial use, the idea that you can control machinery from a safe distance is interesting. Do we have to wait until 2020? As the examples above show, that answer is a simple "No." But a longer and more interesting answer shows how manufacturers are already integrating wearable technology into their plants — and how it will continue to evolve. For example, Ford recently created a wrist-worn portable quality assurance device with an accompanying Android app for its production line in Valencia, Spain. This device and app aim to improve quality, efficiency and saves workers over half a mile of unnecessary walking. Tesla, possibly one the most technologically advanced auto manufacturers out there, is no stranger to trying new things. While many consumers didn’t buy into Google Glass, Tesla has reportedly testing out the Enterprise Edition for inventory management in its Fremont plant. This is just the beginning. As wearable technology evolves, we’re sure to see to see more manufacturers adopt the technology to help their plants become safer and more efficient. Of course, staying cutting edge doesn’t have to stop on the shop-floor — you can start making changes to your company and processes immediately. It's time to set up a modern optimized website and use marketing automation to take on some of the legwork and help generate high-quality prospects for your business.